A superior way to store and display watercolors, prints, drawings, and photographs — in heavy 15-gauge non-plasticized rigid PVC sleeves. Print Protectors contain no plasticizers or stearates, but they do contain ultraviolet inhibitors to prevent discoloration when exposed to direct sunlight or other lighting. Print Protectors are chemically sealed on three sides to prevent tearing of the edges. 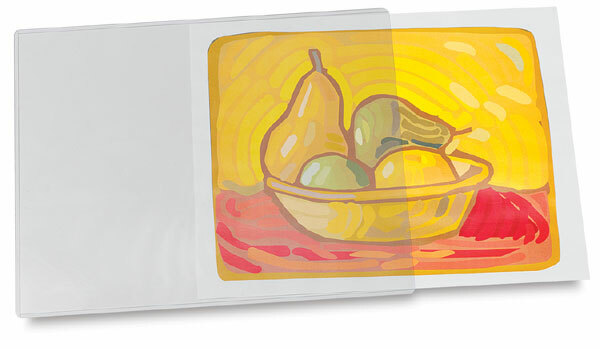 Note — Sizes of print protectors are the size of the artwork that can be accommodated, not the outside dimension. Opening is at the small end.